"How to Help Grieving People"
Kandy Noles Stevens is the proud wife of a veteran of the U.S. Army, mother of seven children (four of her children live in heaven), and science/math teacher & professor. More information at: https://kandynolesstevens.com. Morning: Kandy will share how to explore books that encourage connecting to the outdoors. If weather permits we will have an outdoors activity. Afternoon: Kandy will share topics related to her book, "The Red Bird Sings and the Song of Hope: and Other Stories of Love Through Loss". Print and send the registration form and check to Brenda Resch at PO Box 520, Lakefield, MN 56150. Registration ends May 30th. Come join us at the 2019 MRA Summer Conference! MRA will be sponsoring the July 16th and 17th days of Hamline's Summer Literacy Institute. The keynote speakers are Cornelius Minor (July 16 - MRA Day) and Jennifer Serravallo (July 17 - TCARC day). 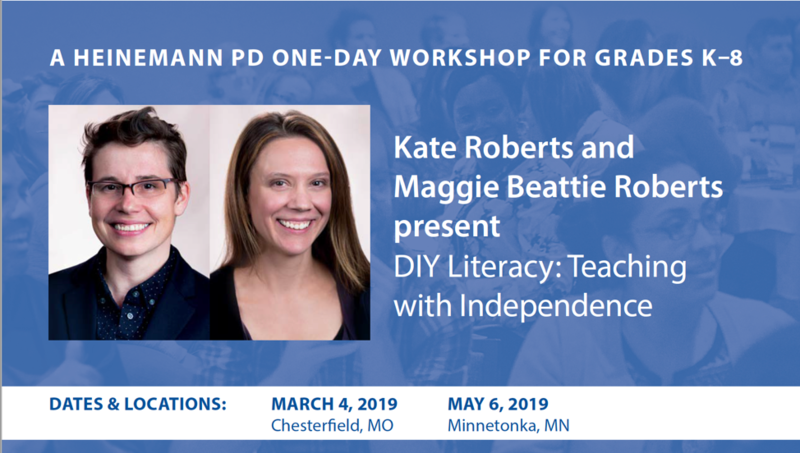 Register today on Hamline’s Literacy Institute website! 10 Nov 2018 TCARC/Scholastic Event - Harness the Power and Joy of Reading to Increase Achievement for ALL Students! 04 May 2018 Leadership in Reading Network (LiRN) Presents "Promoting Equity and Access for All Students Through Culturally Sustaining Literacy"
20 Feb 2018 Leadership in Reading Network (LiRN) Presents "Promoting Equity and Access for All Students Through Culturally Sustaining Literacy"
18 Jan 2018 Leadership in Reading Network (LiRN) Presents "Promoting Equity and Access for All Students Through Culturally Sustaining Literacy"
11 Oct 2014 SRIC: "What Are They Thinking? Using questions and feedback to maximize learning"
25 Jan 2014 CMRC--Kathy Bumgardner visits Central Minnesota. 22 Jan 2012 SRIC Event: Implementing the "Model Plan for Adolescent Reading Intervention and Development"
07 Jun 2011 SWRC: Discussion-- a Key Factor in Increasing Reading Comprehension? 15 Jan 2011 MRA Newsletter Winter Issue Available. 07 Oct 2010 Engaging Readers! Hands On Reading! 25 Sep 2010 Don’t let free educational resources be a mystery!